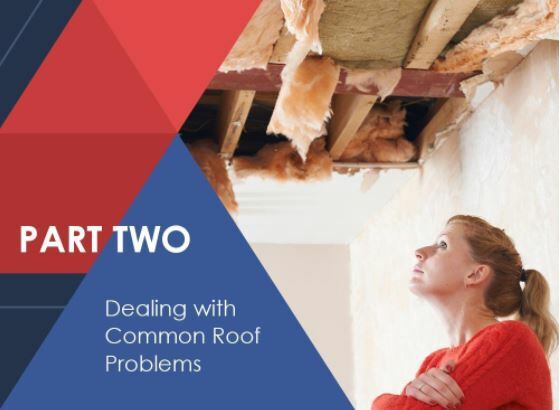 When your roof does sustain noticeable damage from the harsh elements, make sure to have it repaired promptly, even if they are as small like fledgling roof leak. Over time, they can worsen and leave your home vulnerable to extensive water damage. By dealing with these problems, you can ensure continued performance from your roofing. At the same time, you can avoid the stress and additional costs involved with premature roof failure and replacement. Roof Leaks. Significant weather damage can cause roof leaks. Hail, for example, can crack and dent your roof’s surface upon impact, while high winds can loosen shingles until they tear right off. This creates openings that allow rainwater to drip into your home’s interior. Sometimes, the water may find its way into your walls and foundation, weakening the structure. Roof leaks, fortunately, can be easily remedied with a patching job from a reliable roofer. Damaged Flashing. If your roof has torn or loose flashing, have it repaired immediately. These components cover the more vulnerable areas of your system. For example, the point where your chimney meets your roof allows for pooling water, which slowly wears away the seal until it creates a leak. When the seals have failed, have your roofer re-caulk the seams. The thin metal pieces serving as flashing should be repaired or replaced as necessary. Impact Damage. A particularly harsh storm can produce windblown debris, which may range from simple household items to large roofing materials and tree limbs. The latter can damage your roof on impact, creating dents and even leading to collapse on some areas of your roof. Before additional damage occurs, call your roofing contractor ASAP for speedy storm damage repair and restoration. This way, you’re sure your system can continue delivering the excellent weather performance you’ve come to expect. You’ll be extending its lifespan, as well, which is another win. Like roof inspections, repairing your system will require an expert roofer. They can effectively restore your roof to its former condition, allowing for longer-lasting performance. In Part 3 of this three-part blog series, we’ll be taking a closer look at how a maintenance plan can keep your roofing system in top form.